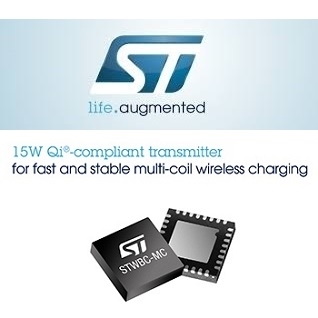 STMicroelectronics has introduced a 15 Watt wireless charging transmitter for batteries that can control multiple charging coils, making charging less dependent on the precise position of the battery-powered device. The STWBC-MC 15W wireless battery-charger transmitter is compliant with the latest Qi 1.2.4 specification. It is the first transmitter specifically designed to support the Qi MP-A15 EPP (Extended Power Profile) topology. In addition to detecting a valid receiver and selecting the most efficient coil for power transfer, it ensures extended Foreign Object Detection (FOD) through bi-directional communication with the receiver. 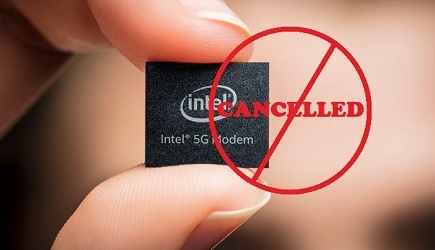 The STWBC-MC also supports the proprietary wireless fast-charge extensions of leading smartphone manufacturers. To ensure fast and stable charging for all types of devices, the STWBC-MC monitors coil current and voltage. By integrating a digital DC-DC controller, it delivers the required power to the coil at a fixed frequency and so minimizes interference with other systems inside smartphones and tablets. Given the EU’s intention to extend the scope of the Radio Equipment Directive (RED) to include wireless-charging transmitters, and restrict H-field emissions above 145 kHz to -5 dBm, the STWBC-MC’s low-EMI design eases compliance. Users can start development quickly using the STEVAL-ISB047V1 evaluation kit for the STWBC-MC and the STSW-STWBCGUI graphical user interface for ST’s STWBC transmitter ICs. The GUI can be used to download the STSW-ISB047FW dedicated firmware for the STWBC-MC, and to monitor performance and fine-tune parameters. The STWBC-MC is in production, priced from $3.375 for orders of 1000 pieces. The STEVAL-ISB047V1 evaluation kit is available now from st.com or distributors, for $170.